A recent study by CareerXroads, an employment strategy consultancy, confirmed that almost half of all hires are internal. One way to become an internal candidate is to accept a contract position. 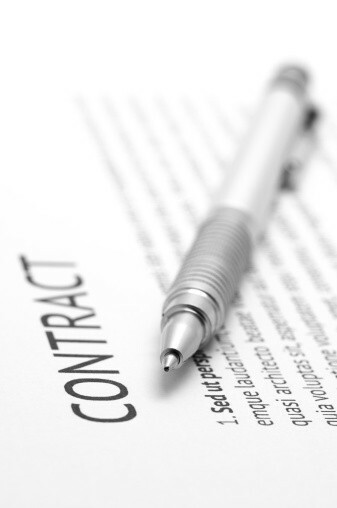 The short answer to the question “Should I accept contract work?” is an emphatic “Yes”. • You have been out of the workforce for awhile. Contracts offer obvious benefits like income and the opportunity to apply or learn new skills. Contracts also offer subtle benefits, such as productive use of your brainpower, feeling connected and giving your life a structure. In those cases where expertise is required, contract work often pays well. The information technology sector, for example, is becoming more and more contract-driven. However, for the transitioner who is eager to develop or test new skills, the main attraction will be experience rather than an exceptional salary. Due to the uncertain economic conditions in many parts of the world, employers today have the advantage. They find contract employees an effective way to fill gaps without committing to long-term costs. Many major employers, constricted by corporate-regulated headcounts, employ contract staff. Major banks and insurance companies, large tech sector companies and outsourcing consultancies are credible sources of short-term employment. Contract offers need to be evaluated, as not each one would be advisable from a career management point of view. The measure of “yes or no” is through assessing relevance, interest and duration. Overall, you must evaluate whether or not your ongoing job search or career transition goal will be strengthened after the contract. Reasonable employers understand that your job search did not end when you accepted their contract, and with notice (something that you can discuss in advance), will allow you the flexibility needed to attend interviews. As a contract employee, you do need to continue with the hunt for a permanent position, as contracts typically commit to a short period, most often somewhere between six and 12 months, and not all will turn into a permanent job. Many contract employees, those who work smart and ensure that their bosses notice, are asked to step over into the permanent employee category once the bottom line supports the numbers. Here’s another thought: Contracts are also ideal for those who find themselves quickly bored. If you enjoy change and constant challenge, contracts allow you to “job hop” without being labelled a “job hopper”. You acquire diverse and valuable experience and knowledge, which, if properly communicated, portray you as an undeniable attribute rather than as a fickle liability. If you are curious about what’s out there, contract work may be your ticket to exploration.